At the time when I was about to give up hope of ever making homegrown-homemade guacamole, our avocado tree bloomed this year - hope has dawned. This is the same avocado tree that I wrote about earlier. Like all other trees in my garden I expected this avocado to bloom sometime; but because it took almost nine years before the first flowers appeared, I was surprised to see panicles (clusters of flowers in one stalk) of flowers last spring. I guess this is the thrill of growing fruit trees from seed. 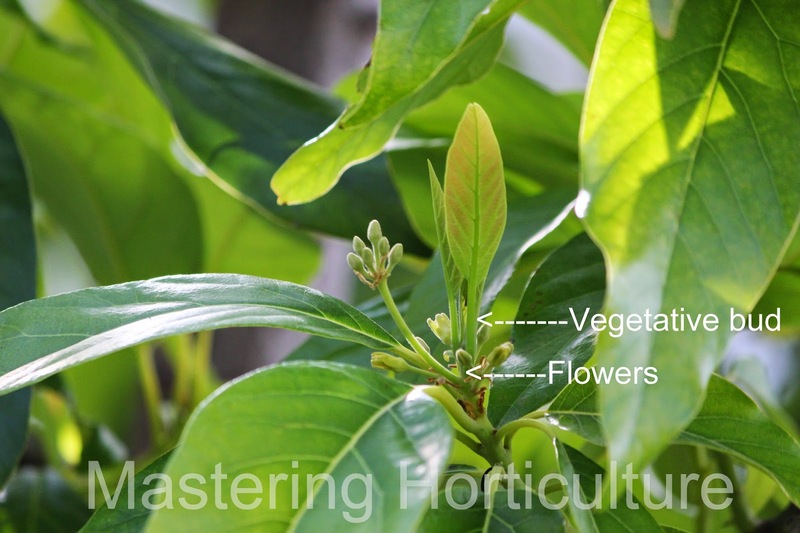 There are two types of avocado inflorescences (flowers) - determinate or indeterminate. Indeterminate inflorescence, terminates below a vegetative bud (Fig. 1), which according to the UC-ANR, is more common in this area. In the case of determinate inflorescence, flowers appear at the terminal end of the flower-bearing shoot. 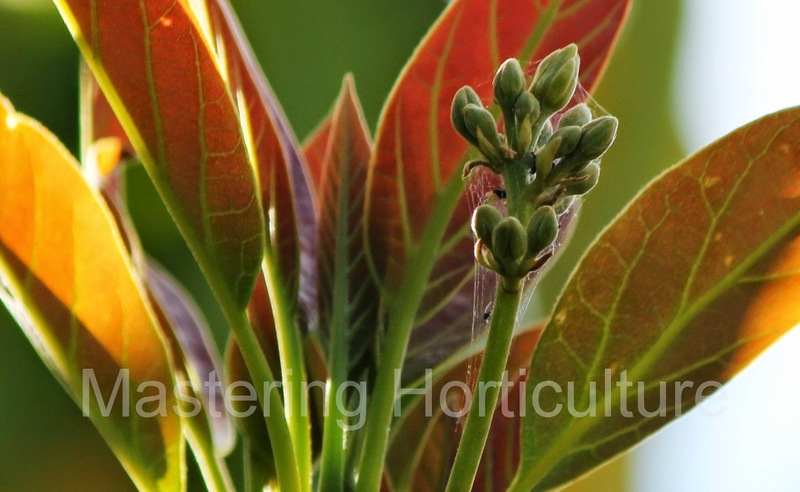 Avocado inflorescence develops in panicles of up to hundreds of flowers. For the tree in my garden, there were very few flowers per panicle - which is not surprising since this is only its first blooming year. Maybe the second year will be better. After flowers, the next thing to look for are fruits. There was one fruit that developed. The one and only (Fig.3). Why? Pollination is the major determinants of productivity. Flowers have to be pollinated prior to fertilization and fruit setting - usually, insects play a huge role in this process. Close-up picture of the flowers on Fig. 2, gives an explanation to the singular fruit (Fig. 3) on the entire tree. The flowers were covered with cobweb prior to anthesis (period when flower is fully open and functional). Any insect attempting to visit the flowers is in for a deadly trap. Regardless of the complexity of the avocado pollination process, this situation alone seems enough to abort pollination. Fig. 3 The one fruit. 1. 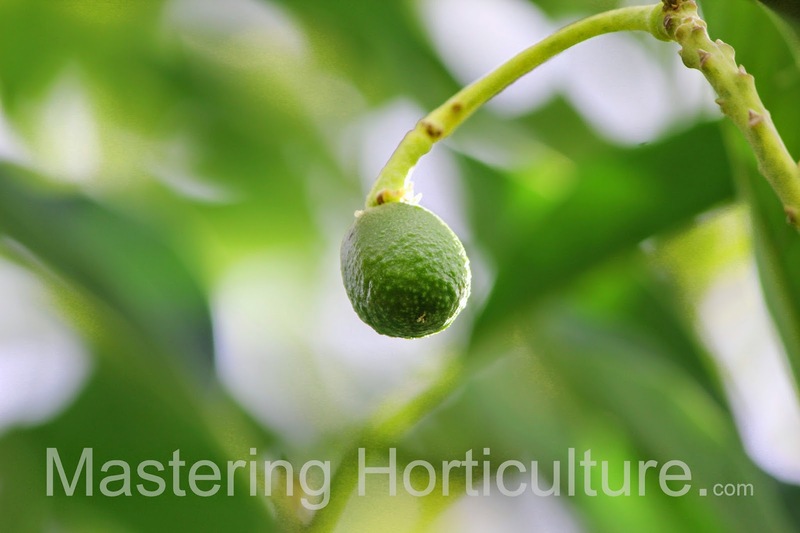 Under local conditions, avocado takes nine years from seed to flower. 2. Fruiting can happen in this area. 3. 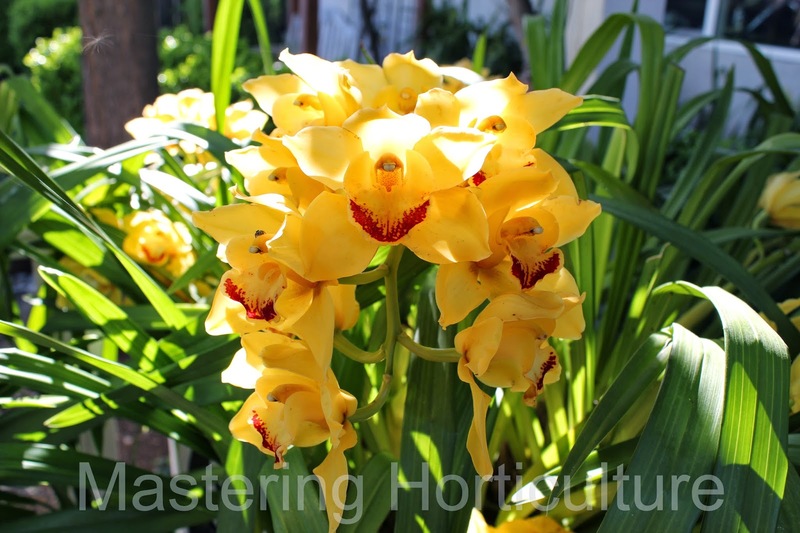 A second tree is not a requirement to pollination. 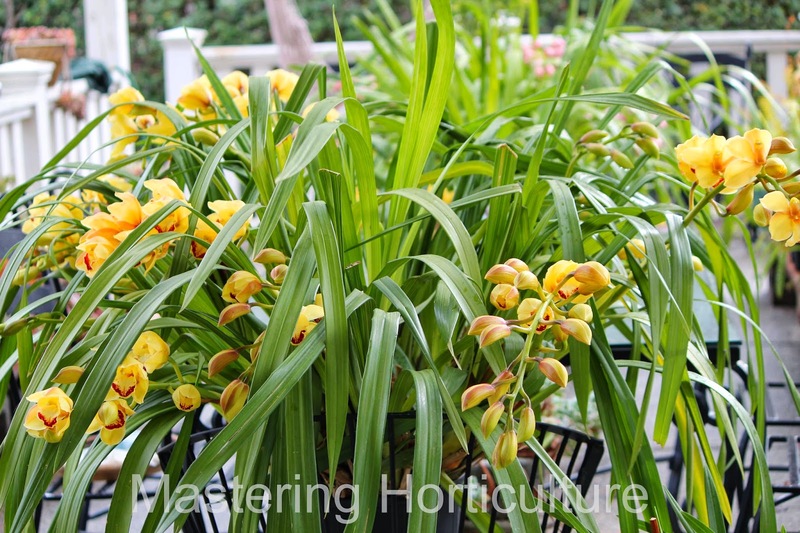 Three years ago I repotted my cymbidiums into three gallon containers. This year (late spring) I divided them again after they all finished blooming; turning each plant into three individual plants. 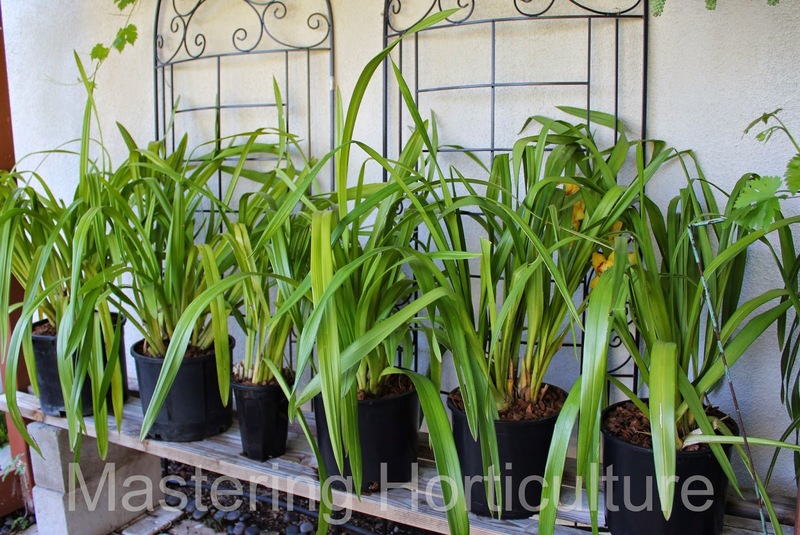 In some cases I hesitated to divide them because I like seeing multitudes of spikes (instead of two or three per plant) shooting from among the sword-like sheaths of green leaves, so I repotted them into larger containers. One of them now resides in a fifteen gallon container. It will be interesting to see how it will perform next blooming season. Fig. 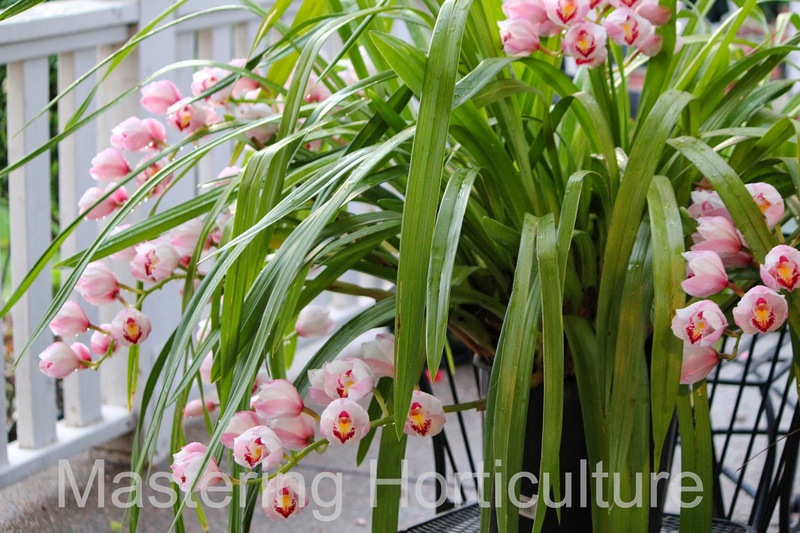 2 Cymbidium in a 10-gallon container. I used three years ago worked. 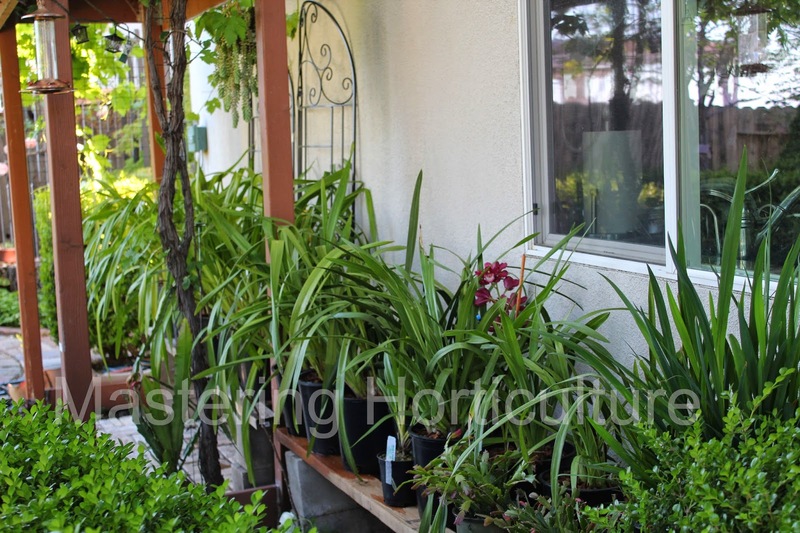 The plants did well - with lots of blooms and good root system. The bark decomposed into very fine compost which I scattered along the rows of boxwood near my vegetable garden. 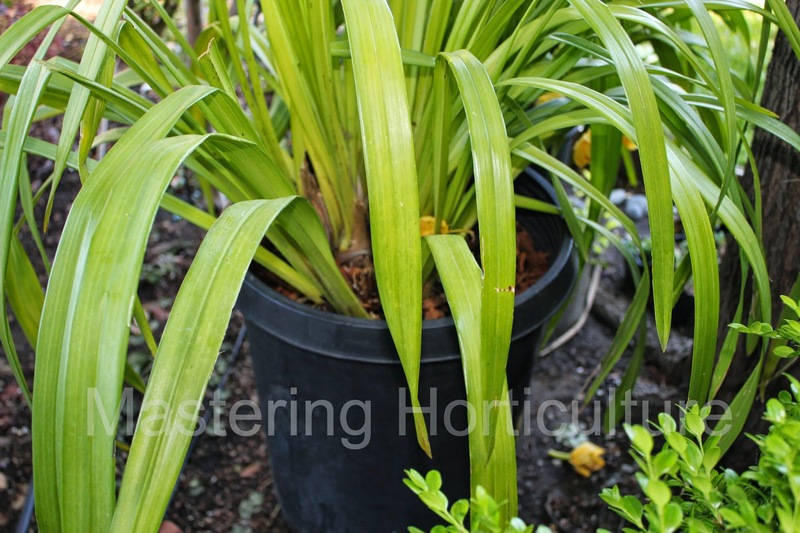 With the current drought that we are experiencing, the peat moss would help retain more water allowing for less frequent watering. Larger-size bark was used to allow good air movement around the root area. Fig. 3 Cymbidiums lined up along south-facing wall. Fig. 4 Newly repotted orchids. Right now, my orchids are doing well in their new growing media but it took them a while to get used to their new root environment. I will be posing a new update come fall. At last my own fig tree bears fruits! And it has a name - unlike the volunteer fig that has been planted by birds around my yard. 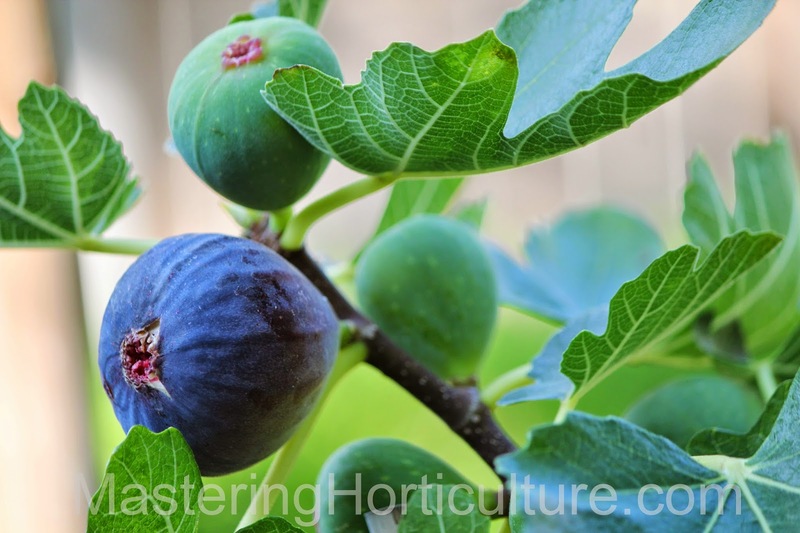 This one is 'Brown Turkey' which I chose because the tree is supposed to be a more compact than the other traditional varieties such as 'Mission' fig. The fig fruit is very fascinating. It is a synconium or an inverted fruit. 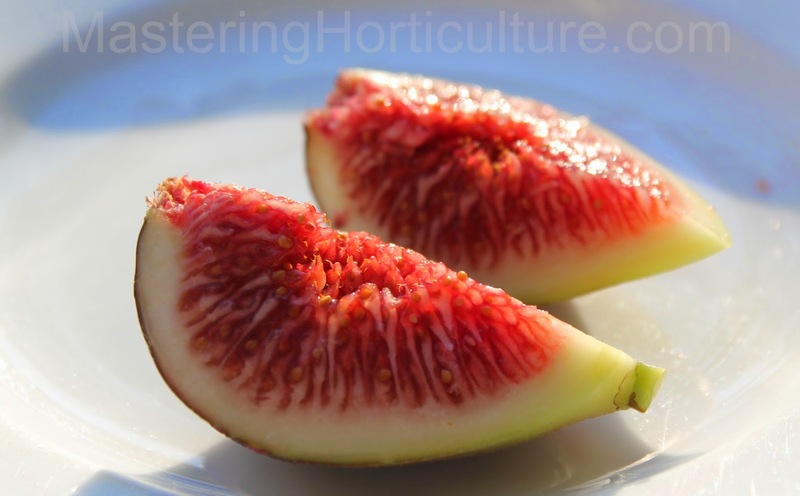 The fig synconium is made up of multiple fruits that are fused together. Each seed is an individual aggregate fruit. It is similar to the strawberry, except the arrangement is reversed. The seeds in strawberry are on the surface of the fruit while the seeds in the figs are inside. That description almost makes the fig a normal fruit. But the fact that the fig flowers were never outside of the fruit makes it completely an odd fruit. Synconium: the flowers open inside the fruit. Fig is probably among the earliest domesticated plants on earth. It is mentioned multiple times in the Old Testament Bible as part of the life of mankind in the old days. For example: the presence of a fig tree, is referred as one of the features of a good land (Deuteronomy 8:7-9); and the shade of a fig tree is symbolizes a place of safety (1 Kings 4:25). Having a fig tree in my yard seems like owning a time machine that brings me back to that time in history. To eat figs off the tree in the morning, when they have been barely touched by the sun, is one of the exquisite pleasures of owning a fig tree.